Pittsburgh Jumbo loans play a critical role for home buyers requiring financing on high-end luxury homes. Mortgages are considered “Jumbo” when they exceed the set county conforming loan limit. In Allegheny County, the conforming loan limit is $484,350. The only drawback in the past with Jumbo loans is they always required a greater down payment when compared to conventional loans. 20% down payment was often the required down payment by most banks and lenders in years past. However, new low down payment Jumbo programs have emerged that permit financing up to 95% for approved home buyers. Like all mortgages, these Jumbo loans do have restrictions that must be met. Below we will take a detailed look at all the important highlights homebuyers will need to know. 95% Financing is capped to $2,000,000. This option requires a min 700 credit score to be eligible. 90% financing is capped to $3,000,000. This option requires a min 720 credit score for loan amounts over $1.5mil. Loan amounts below this (with 10% down) have options down to 680 credit. What About Monthly Mortgage Insurance, PMI Costs? 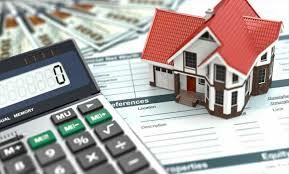 All options, even those above 80% loan to value do NOT require any PMI to be paid. Loans structures can include a combo 1st and 2nd loan, or even single loan options. Combo loans are a popular option due to the lower interest rates. Keeping the first mortgage below the conforming loan limit ($484,350) and having a smaller second mortgage or HELOC to make up the difference. 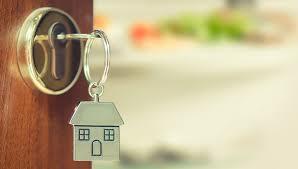 Plenty of different loan terms are available – 30yr, 15yr fix rate, also 5/1, 7/1 or 10/1 adjustable rate, etc. Qualifying for a Jumbo loan is pretty much the same as a conventional or government loan. Buyers should be able to provide proper documentation as it relates to income and assets. Debt to income ratios limits of 40-45% also applies similarly to other loan types. Mortgage payment “reserves” will be needed for all programs. This is the amount of savings in reserve or “leftover” after closing. Figure six months of mortgage payments for smaller loans below $1.0mil, higher loan amount could require as much as 18 months reserves. Read more details on the Jumbo loan page. All down payment requirements above pertain to only primary owner-occupied homes. Buyers do have options to purchase a second home as well, but these programs require a greater down payment, generally 5 percent additional. Rate-term refinance transactions are also eligible for homeowners that want to reduce their current interest rate. *Note: Jumbo cash-out refinance transactions are also permitted but will be capped to 80-90% loan to value depending on the loan amount. Applicants that have questions, or want to apply can reach us 7 days a week by calling the number above, or just submit the Request Contact Form on this page.